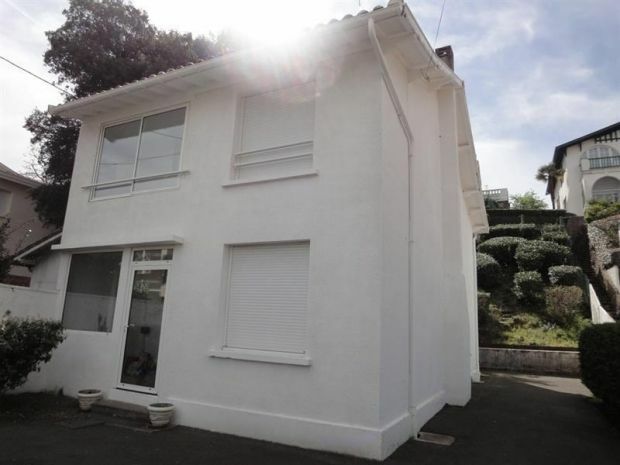 Located between the city center of Arcachon and the port of Plaisance, storey house of about 100 m². Parking your vehicle in the yard. On the ground floor, the entrance is through the veranda. His living room with its sitting area with TV, (no WIFI) and dining area. A separate kitchen, fully equipped with dishwasher, washing machine, fridge / freezer, stove (lights / oven), microwave with access to a small terrace with garden furniture to enjoy outdoor meals. Large storage room. And separate toilet. Upstairs, you will find the sleeping area - a room with a bed 140 for two people with a balcony loggia enjoying a view of the Bassin d'Arcachon. A second bedroom with 1 bed 140 also for two people and a third and last room with two beds 90 and dressing. His bathroom with WC. 800 m from the city center and 100 m from Eyra beach. You have a small street just opposite, which leads you to the beach of Eyrac. Are close to all the merchants of the Aiguillon district. ADDITIONAL SERVICES: -Draws: 20 € / person and week, bath kit: 15 € / person and week, baby chair / cot: 10 € / week.